Comment systems are essential components of any blog, and systems such as Intense Debate and Disqus have become indispensable to a growing number of bloggers on the Internet. With the need to "follow" other users having become an increasingly important concern, these tools provide a much-needed service to the blogging community as you will see in this comparison article. Intense Debate does not provide an iFrame for users, instead showing all comments right in WordPress. This essentially gives users a single access point to various Intense Debate services. Disqus on the other hand has a more convoluted user interface, which doesn't give you access to all the moderation features in the admin view, although it does so right in the post. FriendFeed comments are another matter. Intense Debate has the ability to import FriendFeed comments directly into the comment thread, making them essentially appear as regular comments. While Disqus has announced that they would be providing similar functionality as well, the company has yet to implement this at the time of this writing. Twitter support is not one of the features that either service advertises aggressively, although the vast popularity of the platform may make this a necessity. Intense Debate does allow users to Tweet comments along with links, but Disqus currently does not offer such functionality. The widgets that come with Disqus are generally easier to integrate with blogs, and they don’t suffer from the clumsiness and other issues that plague Intense Debate’s widgets. In addition, the Intense Debate widgets also have to undergo a lot of hacking in order to look good, while Disqus widgets look great right out of the box. Unfortunately, Intense Debate is plagued with quite a lot of bugs as well. Some issues that have cropped up in particular have to do with local issues with the Intense Debate code, a problem that many users have reported on numerous Internet forums. Intense Debate also does not offer support for WordPress 2.7, which is quite odd since both Intense Debate and WordPress are owned by the same company, Automattic. One of the most telling factors in the choice between the two is community. In this regard, Disqus has the edge over Intense Debate in that it has many more communities linked to it. While Intense Debate certainly does have a fairly active community of its own, the wider range offered by Disqus makes it the overwhelming choice for a growing number of bloggers today. Which commenting system is better? I like it too. I mod 2 sites with Disqus. I like intense debate compared to disquss. i highly suggest it. What is wrong with Disqus? Bryant, the gap in the purchase price of shoes in kobeshoes.cc! Zoom discounts and cheap to buy the lowest price every day Kobe Shoes. Do you love birkin bag, buy the latest trends and have lots of them in different sizes, colors and patterns or are they simply an essential item? Maybe you like handbags but don’t have the time or money to keep your closet stocked. Handbags are a great accessory and can spice up an outfit and also reflect your personality. Whether you change your hermes belt offers with every outfit or carry one for months I have a few suggestions that may make a difference in what you choose. I vote Disqus. I use it and I am a mod for 2 sites. I love using the moderation panel and I can even moderate using my phone. Wouldn't use ID or any other commenting system besides Disqus. For one with this comment system you can't flag comments for moderation. 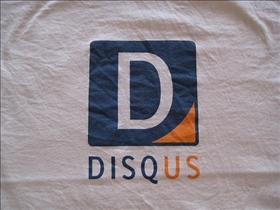 With Disqus you can. I know that for sure. excellent write up,thanks for sharing. Wow this site is awesome and informative to me, i am also gonna share this site to my friends. "In the early days of the chanel advanced customization clothing conference, the once a few elements has happened. An informative difference discussing by the author to which i was finding it last two days. I can completely understand about disqus blogs by referred this article. but often the only to unravel troubles square measure the foremost typical ones. As a result, it actually is definitely an honest plan to analysis any troubles that you are having together with your laptop in order that you'll be able to presumably repair them on your own. but often the only to uncover problems rectangle evaluate the major common ones. Consequently, it actually is definitely an sincere strategy to research any problems that you are having together with your laptop to be able that you'll be able to presumably fix them on your own.